But this time not on a high altitude balloon but with Cygnus ISS resupply craft and beyond. 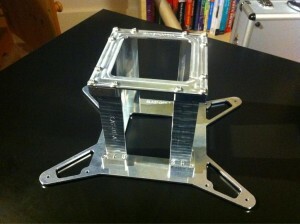 This project is being continued with the aim to develop and fly a CubeSat in Space; most likely deploying from the International Space Station with Nano Racks. This will be the first CubeSat built at the University of Southampton, and hence a milestone undertaking in its own right. But we’ll try to do even more new things with it. Firstly, we’re bring down its cost as much as possible, not only by utilising smartphone electronics but also trying to incorporate 3D printed parts into the design. This would help us and other interested institutions fly their technologies and experiments in Space with less effort and money and hence accelerate the development process (read about how this works on the Planet Labs website). The CubeSat may also test if Europe’s new satellite positioning system, Galileo, works in Space and help us gather data that will help to predict when and where things fall from space on the ground, which is also called re-entry prediction. From other important news – we’ve changed the name to University of Southampton Small Satellite, or UoS3. BLAST has been great but we want to be clear our ambitions are more than balloons. Our cubesat is now fully functional and ready to be assembled into its final configuration! The BLAST Team is sad to announce that the launch has been cancelled. As you are probably already aware of, weather conditions have not been favourable to say the least. Due to strong winds (gusts at the launch site and strong easterly jet streams) we have decided to abort the launch. 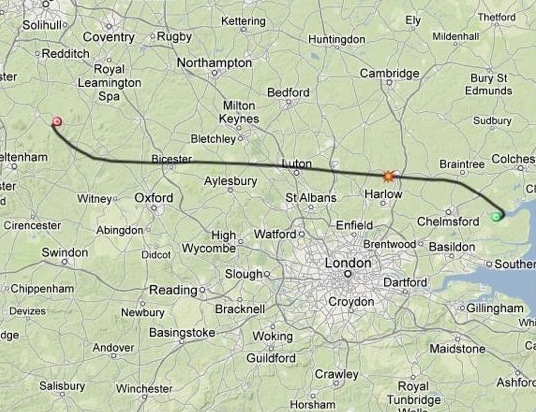 The image below shows the flight path currently being predicted for tomorrow. Of course this is a disappointing decision to make, however we are looking into the possibility to launch in about a month’s time at the end of April, when weather will (hopefully) be better. The team is still working full time though, we are currently preparing our report, and the cubesat communications are not ready yet, so keep following us! Sadly, weather keeps working against us. Tomorrow’s launch has been moved to Friday, and a final decision will be taken tomorrow at lunchtime to decide whether the launch is going to happen or not. As you can see, tomorrow’s jet streams bring us too close to London, while on Friday are the gusts on the ground that will make the whole balloon inflation process extremely difficult. However, we are still hopeful that conditions will improve, so stay connected for updates! 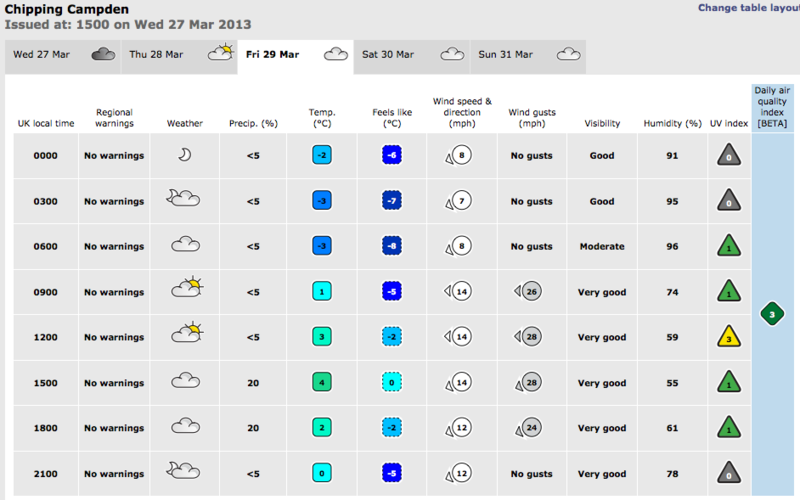 There will be no launch tomorrow (25/03/2013) as the weather does not look favourable. Next launch window will be Wednesday to Friday next week, when the weather seems to become better again, fingers crossed! Unfortunately we had to abort any possible launch for the weekend, as weather conditions are not what we were hoping for. Sadly there are chances of snow as well as heavy winds that would make the setup for the launch extremely difficult. The next possible date we are looking at is Monday; expect an update from us tomorrow about the decision if the launch is going to happen or not. However, do not despair! We are hoping to finally have our launch done by next Friday, so any day next week is possible for us. Meanwhile, you can watch a time lapse we took from our previous launch, enjoy! The BLAST team is excited to announce that we will participate in the Science and Engineering Day, hosted by the University of Southampton, on Saturday 16th March, as part of the National Science and Engineering Week. The university aims to inspire interest in these fascinating subjects and demonstrate how exciting they can be. The event will take place on Highfield Campus from 10.30am to 4.30pm with many exhibitions, interactive displays, shows and talks. We will be present at Broadlands Car Park, where we are going to show how some of our testing is done with a tethered balloon launch. 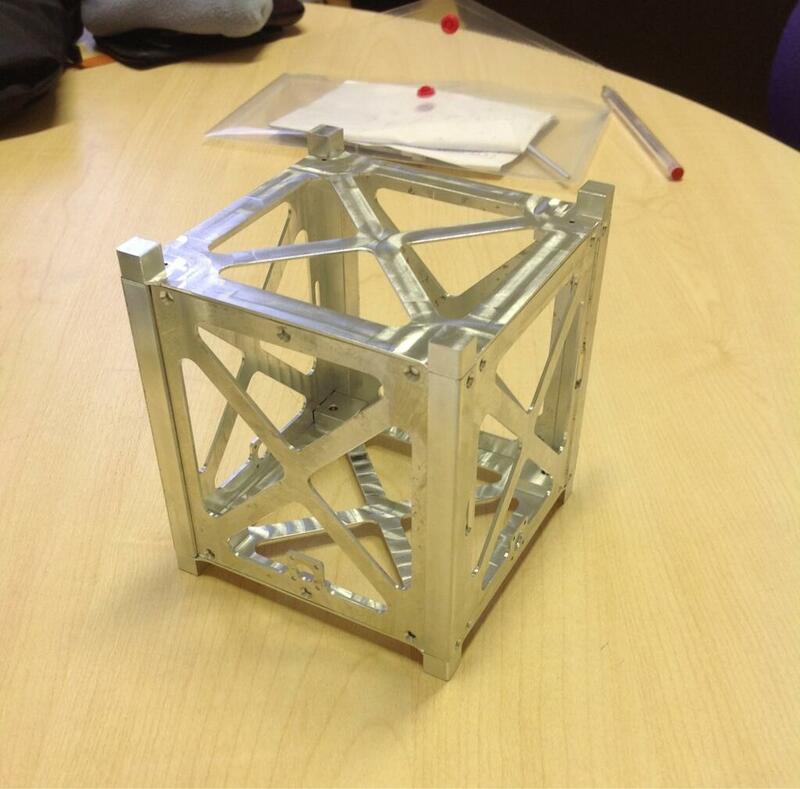 We will also present project Cansat, a side project lead by Sarah, in collaboration with Itchen College. The can-sat (literally a satellite made from a can) built by the students will be having its maiden flight on the tethered launch platform. 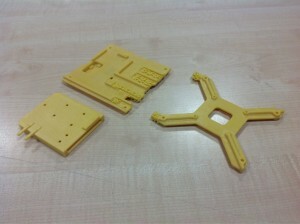 We will also have our own stand in the Exhibition area, where we will have a poster showcasing the work done so far. Outdoor activities will be subject to the weather conditions. 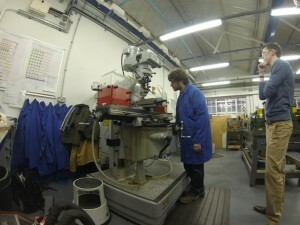 Please click here for more information about the Science and Engineering Day. 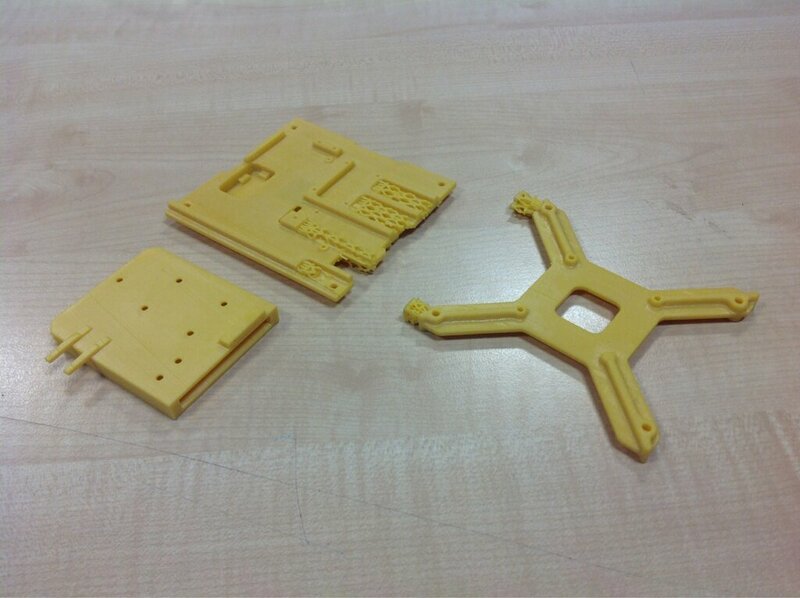 We are proud to announce that the manufacturing phase of the cubesat has now finished and we are now ready to move onto assembling the 3D printed PCB racks, communications and smartphone components! As previously stated, the aim of the launch was to give the project group experience at launching and recovering a high altitude balloon with a payload. We also planned to fly SHARP in its modified form for the first time carrying with it the BLAST smartphone running the custom built application. Data from the smartphone sensors such as location and temperature was to be measured and stored for later analysis. Below are two albums documenting the setup, launch and retrieving of the payload (thanks to Phil Crump). We are currently investigating and trying to replicate SHARP’s issues and we’ll hopefully be able to perform a full configuration launch at the next occasion. We are planning our next launch on 17th March, and we are also going to be present at the University of Southampton Science and Engineering Day on 16th March. We will be posting more news in the next few days regarding these events. Unfortunately we have had to abort tomorrows launch because of unforeseen circumstances. This is obviously very disappointing for the group as a lot of work has gone in over the last fortnight to prepare ourselves for this weekend. 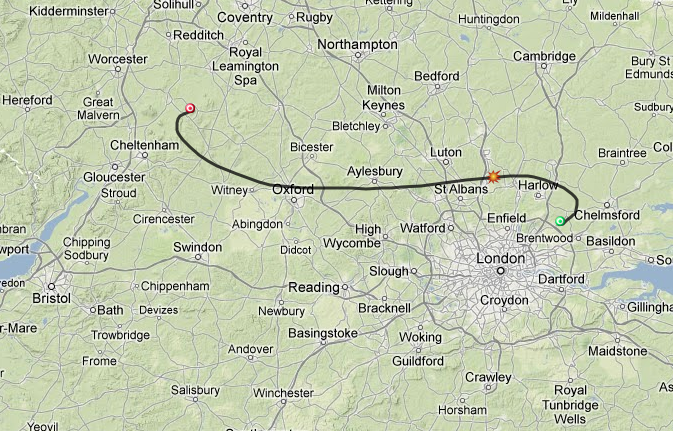 We will now take this effort and attempt to launch next weekend (2nd/3rd), weather dependent. Further information will be posted during the week to confirm when the launch will occur.